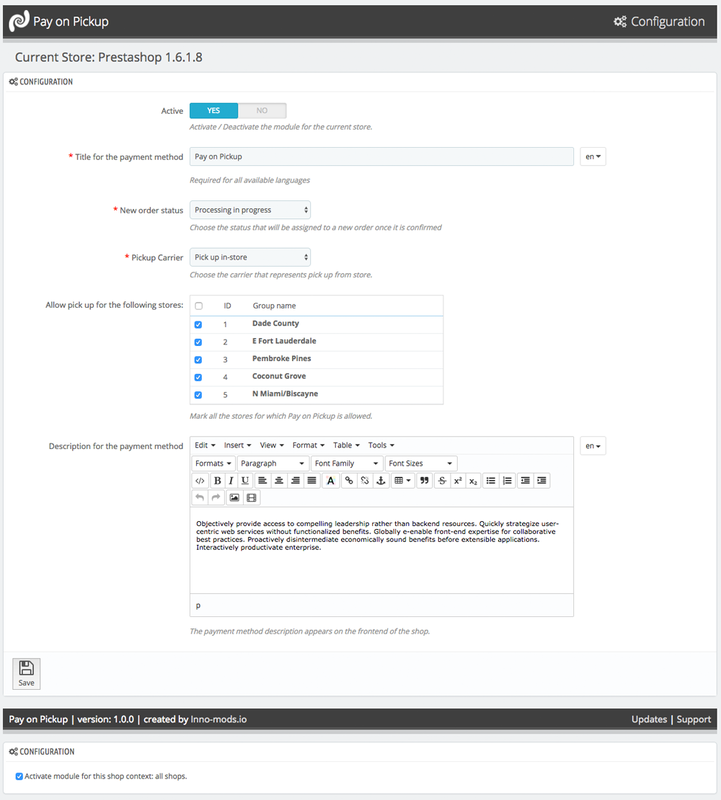 Pay on Pickup for Prestashop is a premium Prestashop module that allows your customers to pay for their order when picking it up from one of your stores! 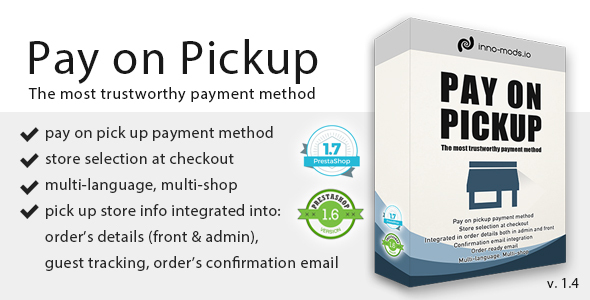 The module allows you to add the “pay on pick up” payment method to your store! 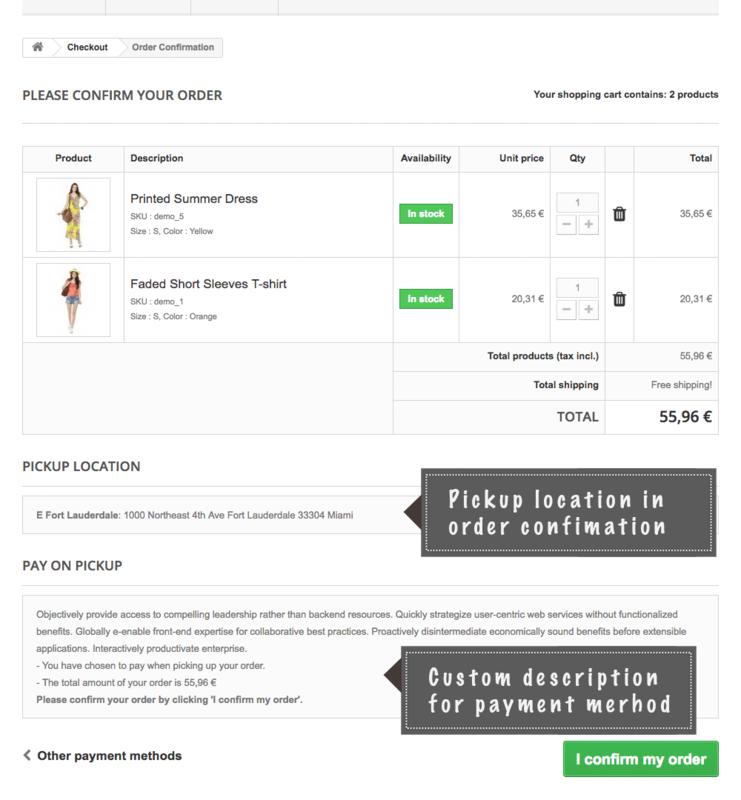 Off course, you can assign the payment method a custom name and a custom description! The payment method gets active when your customers choose to pick up the order directly from one of your stores! 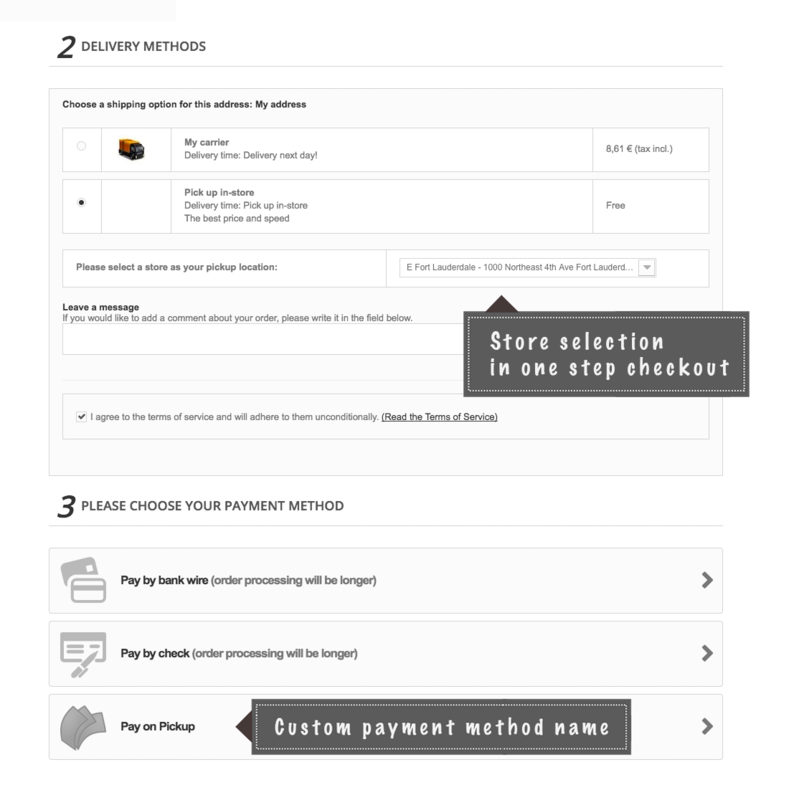 Necessarily, when the pick up delivery method is selected, a store selection drop-down appears with all the shops that are marked as available for pick up! 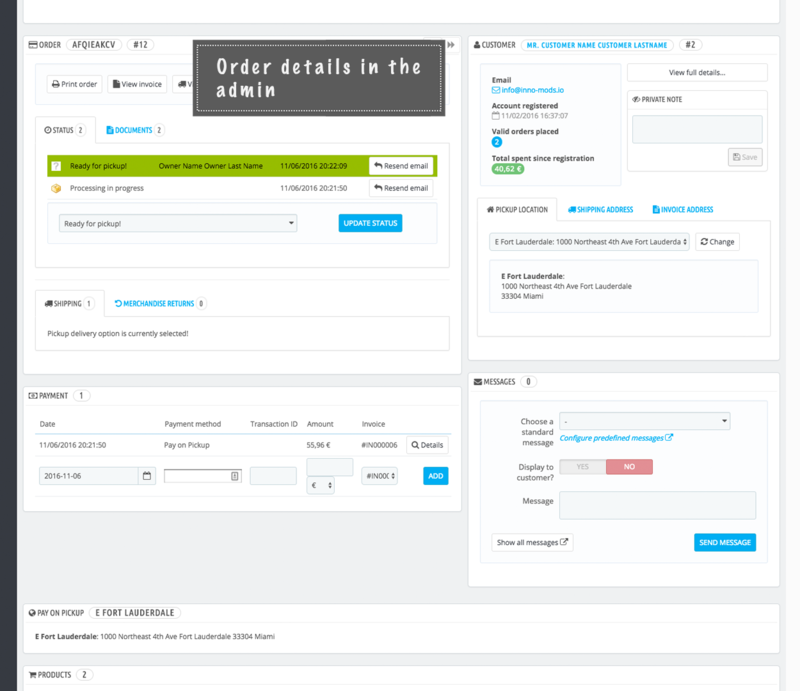 Smoothly integrated to Prestashop, Pay on Pickup, displays the pick up store information in all the necessary frontend and admin places. In the frontend, we obviously have the validation page in the checkout process. 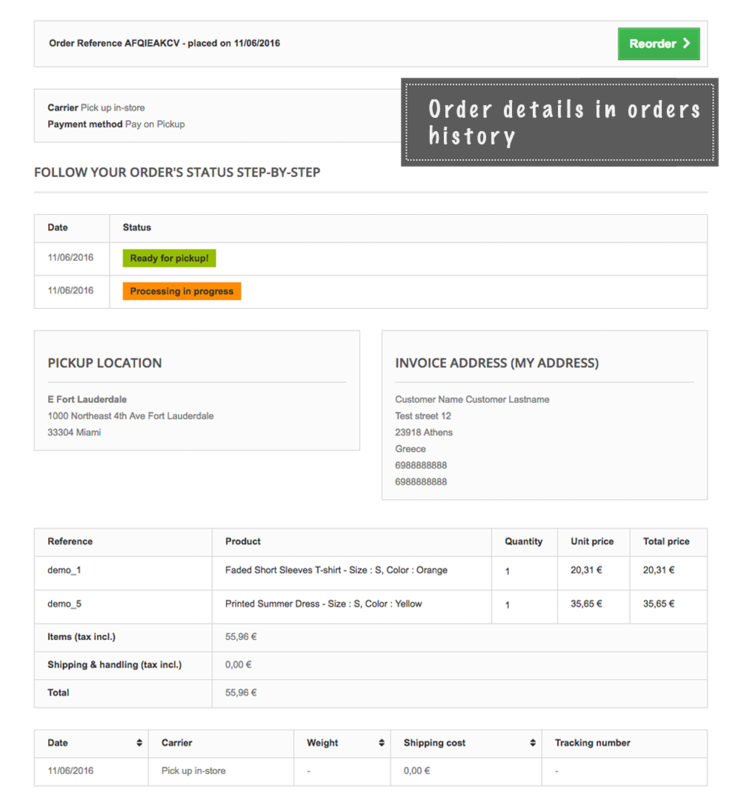 Additionally, we have the order detail page in orders history and the guest-tracking page! In the admin now, obviously the pick up store information is displayed in the order’s details page. Let’s also mention that admins have the ability to change the pick up store, in case your customer changes his/her preference! What about emails? 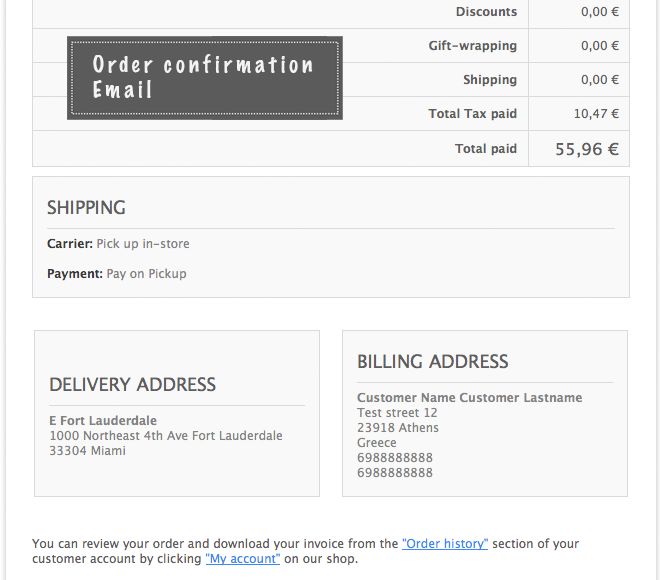 Well, the pick up store information, is displayed in the order confirmation email! 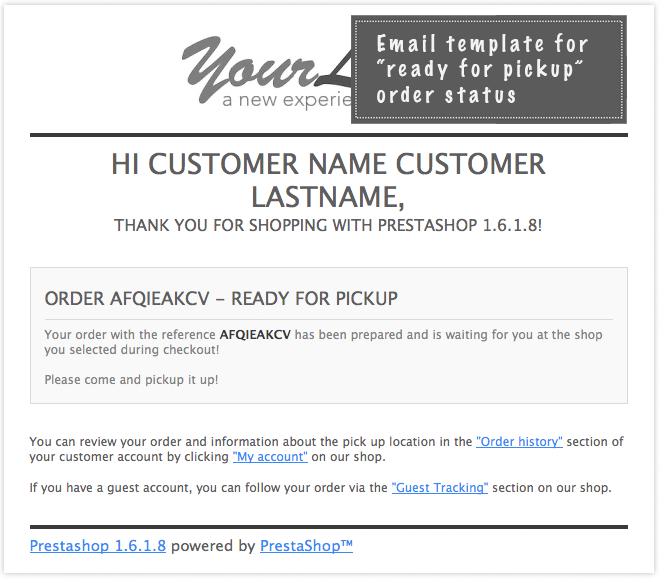 And last but not least, the module comes packed with an “order ready for pickup” email template so that you can easily create the respective order status! Check the screenshots to get the feeling!